Our 10th Annual Lasagna Dinner Is April 25th! 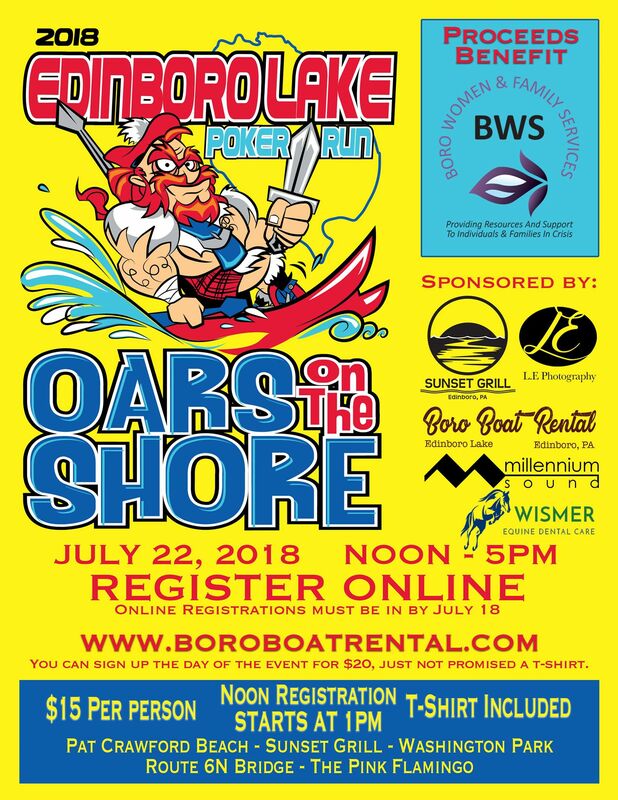 This is always a great event for us and it’s become one of our major fundraisers of the year. 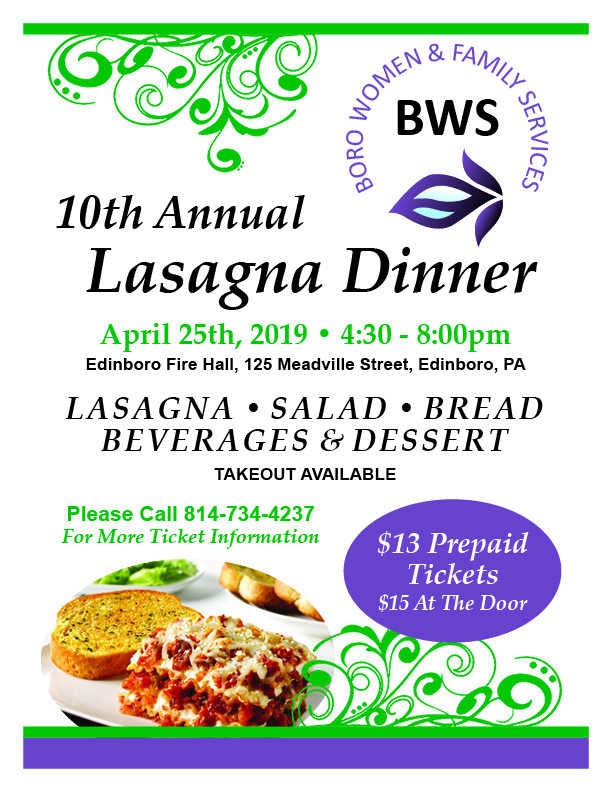 We hope you will plan on joining us for our 10th Annual Lasagna Dinner, April 25th at the Edinboro Fire Hall. Tickets are $15/person at the door and $13/if purchase them in advance. 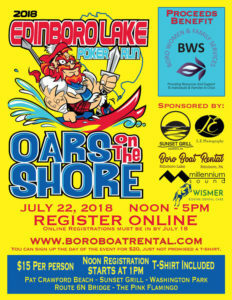 Tickets are available at the Boro Women & Family Services office at 108 High Street, Edinboro OR you can order online on our website.